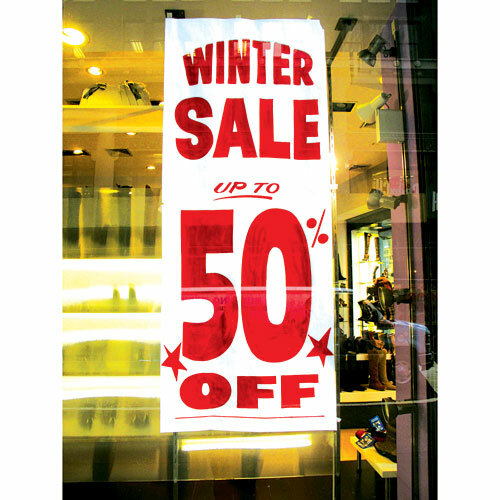 “Sale” has become the bad four-letter word amongst retailers. 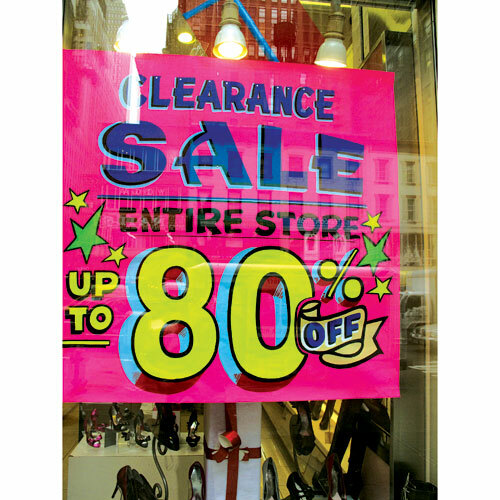 Some say constant discounts establish a false sense of what merchandise should cost and that shoppers are constantly on the lookout for a better bargain. “You can’t resort to the ‘sale’ word because your customers are going to ask for it all the time,” notes Jill Hathaway, owner of Hathaway Shoe in Kansas City, MO, and J. Hathaway Shoe Boutique in Leawood, KS. Ed Habre, owner of The Shoe Mill in Portland, OR, explains it like this: If a retailer is operating within standard profit margins and continues to sell on sale and reduce profits, he’ll have less money to invest in his merchandise. Not only that, but repeat sales hurt the brands as well, giving shoppers the idea the product doesn’t deserve its original price. Constant sales are a no-no at Kemp’s Shoe Salon & Boutique in Vero Beach FL, says co-owner and president Meg Offutt, so the retailer devised an alternative plan to get rid of hard-to-sell product: It opened an outlet. Appropriately named Kemp’s Too, the idea was born in the retailer’s previous Boca Raton location when the founder decided to use an extra room to house discounted shoes. Every afternoon, an employee would open the room for a few hours and let customers shop; the idea became such a hit that it turned into an overcrowded mess. Eventually, the staff decided that opening a separate outlet location was the best option. 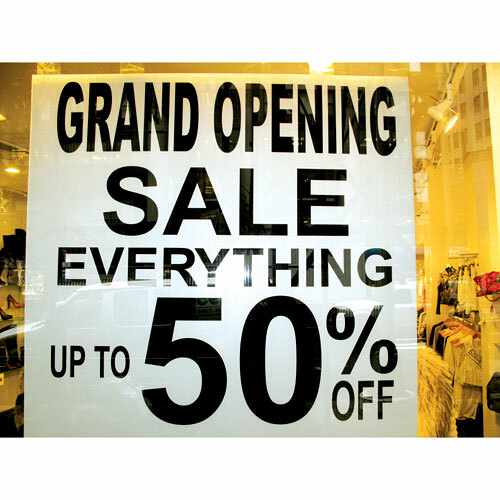 “The most profitable and productive way to dispose of excess inventory is in outlet stores,” asserts Steven Greenberg, president of retail real estate advisory firm The Greenberg Group. Based on information from a recent study, he estimates 45 percent of women shop at outlets while 35 percent shop at malls. “The outlet industry is the fastest-growing sector in retail,” he adds. Greenberg points to Neiman Marcus and Saks Fifth Avenue, which have addressed this by opening at least a dozen outlets between the two retailers in the last two years. 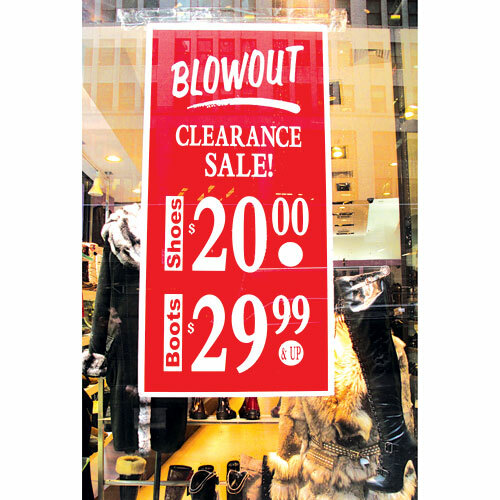 If an outlet isn’t feasible, retailers note there are certainly other ways to shed excess inventory without plastering the store windows with discount signs. This year, Hathaway—a firm believer that sales shouldn’t be the end-all, be-all—lured in customers with a feel-good promotion. She and area retailers were blasted by poor weather this winter, which kept shoppers at home and merchandise on the shelves. Together, the retailers (about 20 in all) joined the American Heart Association’s Go Red For Women campaign and pitched in gift cards totaling $1,000, which customers could win if they bought a $5 raffle ticket. “I wanted to drive customers to the store,” Hathaway says, noting that the 10-percent donation to the nonprofit for every purchase enticed shoppers to buy. Hathaway also participates in a “shopping party” called Haute Market, an event that attracts women across the Kansas City metro area. Several times a year, local retailers bring select items to a collective trunk show and fashionable women buy tickets to shop, drink cocktails and hang out with their girlfriends. Hathaway has found Haute Market to be a good opportunity to sell styles she’s having a difficult time turning in her store. “I’m not waiting for the consumer to come to me,” she says. “I’ve [automatically] got 800 women coming by my booth.” She offers a 10-percent off coupon at the event, which she hopes will bait the attendees to visit her brick-and-mortar locations. At Sole Comfort in Albuquerque, NM, owner Peg Lucas-Swisher believes in the idea of “push money,” or offering cash rewards to salespeople for selling product that isn’t moving. For example, if a shoe retails for $100, then she’ll give the salesperson $10 for a successful sale. “It’s an incentive for them to work a bit harder,” she notes. This way, Lucas-Swisher doesn’t have to mark down the product, thus eliminating the possibility of devaluing her merchandise. She’s also held contests where the staff member who sells the most shoes in a given period will get a paid day off work. There are, of course, instances where the buy was so bad that the style will just continue to collect dust. In these cases, retailers recommend donating to a charity, such as industry nonprofit Soles4Souls. The gift won’t necessarily free up cash flow, but retailers can earn a tax deduction—and perhaps some good karma. Participating in local charitable events, like the sit-and-fit The Shoe Mill recently held for Portland’s homeless population, is also beneficial in moving out old stock and it can gain locals’ respect for the retailer.